When I became a Christian, I felt changed. I felt truly alive for the first time in ages, euphoric, and just giddy about what lay ahead for me. This lasted a while, then I guess you'd say the flame died. I wondered if something was wrong with me, with my faith. I kept thinking "Is this all there is?' Why was I not floating around, all pumped up, and being a shining example of God's love like the others around me? What was wrong with me? 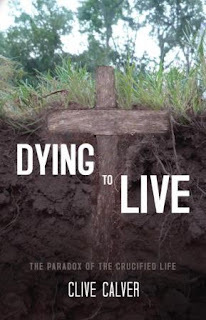 I recently read Dying to Live by Clive Calver and realized I am not the only person who has ever felt this way. There is nothing wrong with me! This book does an awesome job of explaining how the old us has to die, so we can live for Christ, just like he was crucified for us. It is a thought provoking read. It was like it turned on a switch in my head and really made me understand so much. If you've ever felt like I did, this book will truly bless you. I am so glad I read it. It has returned those wonderful feelings and made me understand so much more about how to walk with Christ. I highly recommend this one! Thank you! I understand that feeling well.